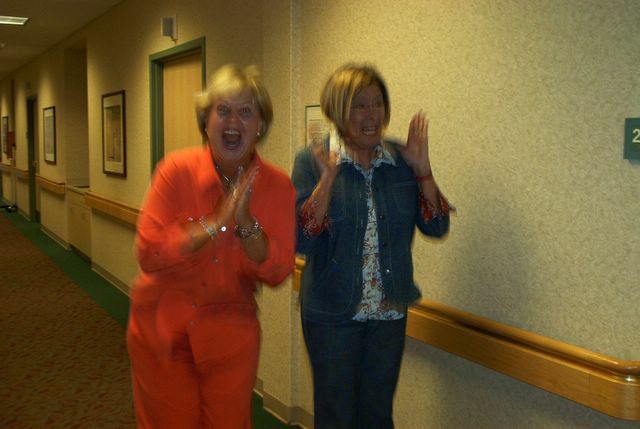 Vicki and Marsha find out they are serving Blue Bell Ice Cream to each grandmother after the baby is born......just kidding. That was after they were eaves dropping and heard Parker's first breath/cry. HILARIOUS!!! this picture...i felt like i was there with you guys.